Taking a break from the horrible situation happening in Egypt and from my Twitter and Facebook pages, I'm happy to say that my major revisions for ETERNAL CONQUEST are finished! These were the revisions I needed to make AFTER I was offered the contract from The Wild Rose Press in their Black Rose line. I met my deadline and had the changes into my editor before the end of December 2010. However, my editor had an unfortunate accident with her computer, and though she thankfully recovered, she is a little behind schedule. Which means she won't be able to get to ETERNAL CONQUEST until the end of this month. That's okay! I have lots of other books to write! 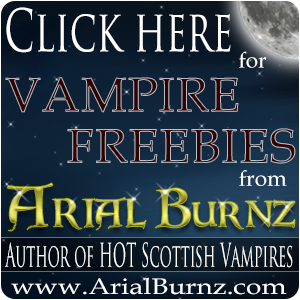 I have high hopes this will be a very successful book as it offers a side of vampire romance not seen too often these days – historical vampire romance. Both Sherrilyn Kenyon and Stephenie Meyer (two very popular authors in this genre) tell their tales with a hint of history for their vampire character backgrounds/back stories, but rarely do we get to read the beginnings. Love of family is what drives my hero Broderick MacDougal to become immortal and my heroine Davina Stewart is swept into this path of revenge he takes. This is what sets off the entire series where Broderick chases Davina through time as she is reincarnated from one century to another. You can see the back-of-the-book blurbs about the whole series I have planned, which follows Broderick through history up to present-day, at my author web site page for Bonded By Blood. While I'm waiting for my editor to get to ETERNAL CONQUEST, I've begun writing WAR OF THE HEARTS (previously known as CAPTIVE HEART). 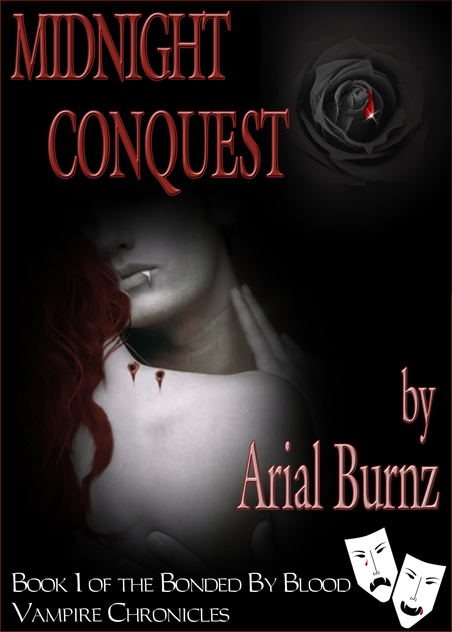 This is a fantasy romance that takes place in pre-history Earth – then known as Evanterra. This is a magical world of dragons, faeries, centaurs, mermaids, wizards and witches…all the things I love about fantasy as well as romance. The love between my hero and heroine is a forbidden love as just the act of mating with each other would kill my heroine! I have a back-of-the-book blurb on my web site if you'd like to read a little more about this storyline. I'm hoping to submit this story to The Wild Rose Press‘ Faery Rose line. These two covers on this page are NOT the actual covers. I like to mock up my own covers as it allows me to see my books through to completion. I enjoy using Photoshop! 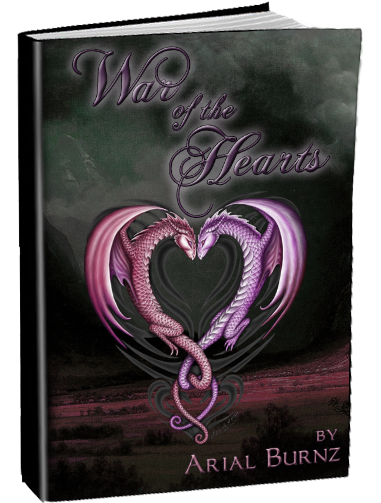 Incidentally, the dragons in the heart shape on the cover for WAR OF THE HEARTS were done by a FABULOUS artist named Linda M. Pitman. I encourage you to visit her web site to see more of her work. However, once I do get my covers for each of the books, I will most definitely post them. Are you working on your own novel or book? I'd love to hear about it! Finally, I've also started holding some workshops that incorporate my passion and talents with the subconscious mind – Hypnotherapy. The subconscious mind is where all our story ideas come from and frequently we will stifle our creativity because our conscious mind gets in the way via too much criticism and analysis. These workshops show people how to get our conscious mind out of the way and then I take them through a guided meditation to show how to unlock that creativity and let it flow. I've listed the workshop schedule on our Writer's Group calendar. Check it out! Thanks for stopping by! 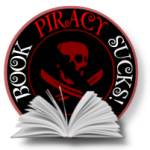 I'd love to hear your comments about my writing projects AND yours! I'd also love to hear about what books you're reading. Tagged adobe photoshop, Arial Burnz, blog, blogging, Bonded By Blood, Broderick MacDougal, ca, calendar, community, dragon, Egypt internet, Eternal Conquest, facebook, fantasy, fantasy romance, Gina Henderson, hero, heroine, historical romance, Linda M. Pitman, love, magic, magick, meetup.com, Midnight Conquest, paranormal romance, proposal, romance, Romance Writers of America, Romantic Times, Romantic Times Book Lover's Convention, SheBlackDragon, Sherrilyn Kenyon, Stephanie Meyer, Stephenie Meyer, story development, Twilight, twitter, Upland, Upland Writer's Group, Wild Rose Press, Writing, writing challenge, Writing group. Bookmark the permalink.